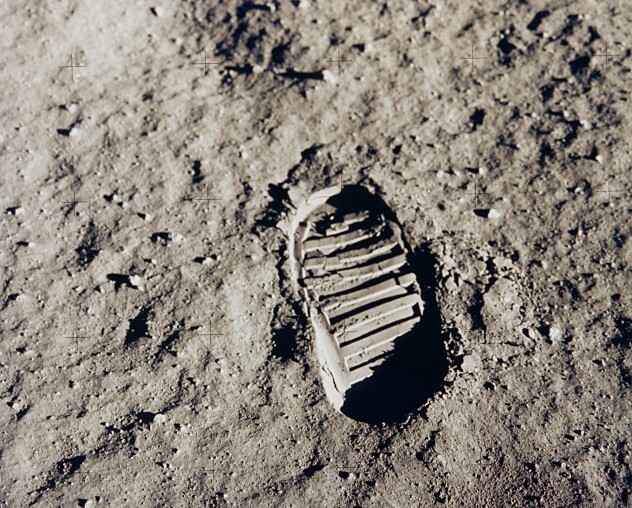 In honor of that incredible achievement, we offer a few books about our journey to the moon and beyond, as well as links to some cool sites. Recreates the story of the Apollo 11 moon mission through interviews, NASA oral histories, and declassified CIA documents. Beginning with the 1969 launch of Apollo 11, Aldrin and co-author Abraham deliver a blow-by-blow account of the journey, landing and return. A fascinating account of the competition between the Americans and Soviets for control of outer space, focusing on two brilliant and ambitious scientists–Wernher von Braun and Sergei Korolev–who fueled it. Citing American competitiveness, Degroot argues that the moon landing was primarily a stunt of one-upmanship: the Russians getting into space first with Sputnik had a profound affect on Americans, as politicians and citizens alike became obsessed with beating them to the moon. A tour of the world’s premier collection of space artifacts, presented by curators from the National Air and Space Museum, chronicles the first fifty years of space achievement and exploration and shares profiles of 150 key objects. Describing two spacecraft that have already used his techniques, Belbruno then lets our imaginations run to the future possible applications to missions to Mars, detection of Earth-threatening comets, or, more fantastically, a trip to the Alpha Centauri star system. Watch the moon landing (again) on YouTube. So far, the response to “Master the Art of Reading” has been great. Check out our patron suggestions for this week here or click on the Recommendations link on the right (under Summer Reading). Many outlets – media, retail stores, publishers, even libraries – publish their own recommendations for Summer Reads, so we decided to put up the links to a few. Most of these lists include new books, but a few have some older gems. And if you need more information on the Adult Summer Reading program, look here.